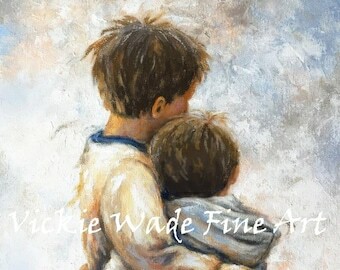 "Mother and Son Hugs" is a large fine art print of an original oil painting of mine. 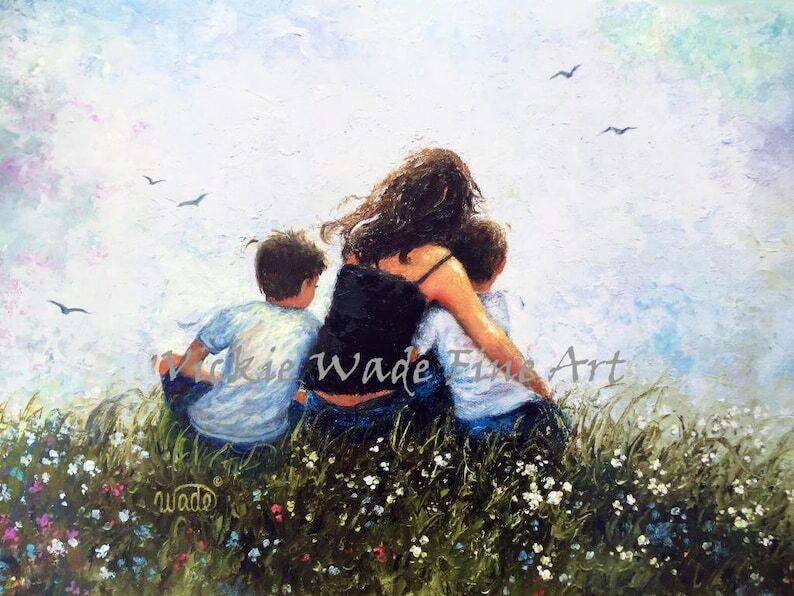 The original has sold. ****Please use the drop-down menu on the upper right to choose from Photo 1 as shown with 2 sons, or Photo 2 one son.